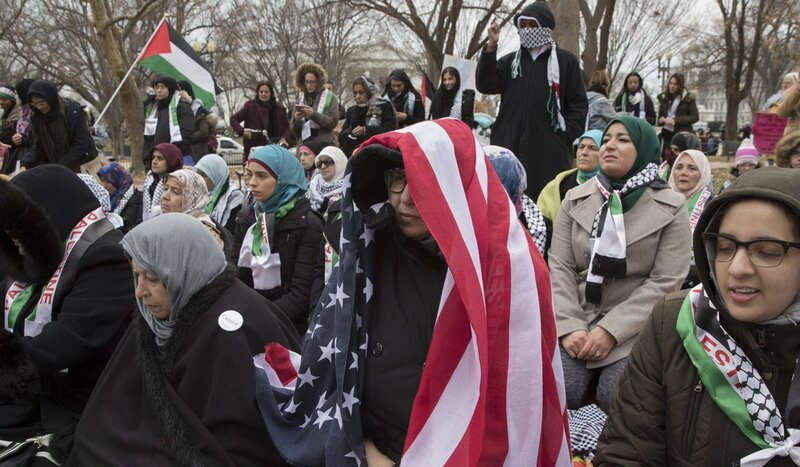 Muslims hold Friday prayers outside White House in Islamic Jew-hatred protest – Zeepertje.com – Facts Fun & News on ISLAM, "The religion of peace"
I know of no other religion that use prayer as protest or threat. A protester, Zaid al-Harasheh, said that Trump’s decision is “not for peace” and will “create more chaos.” Always threats. Why don’t we see these protests after jihad terror attacks, honor murders, FGM, etc.? Never. But nothing gets them on the streets like their Jew-hatred. Nothing unifies them like their hatred. Hundreds of Muslims attended prayers on Friday in front of the White House to protest President Donald Trump’s decision to recognise Jerusalem as the capital of Israel. 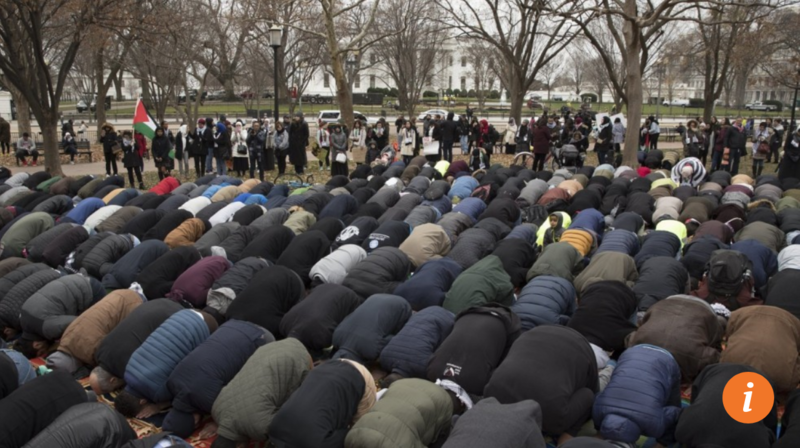 Responding to the call of American Muslim organisations, worshippers laid out their prayer mats at a park in front of the president’s residence.